Is mobile is the fastest growing channel? Expedia buys HomeAway: After years of speculation about whether it would be Expedia, TripAdvisor, the Priceline Group, or Google to purchase HomeAway, Expedia Inc. agreed to acquire the vacation rental giant for $3.9 billion in cash and stock. The companies believe the transaction would close, after regulatory approvals, in the first quarter of 2016. 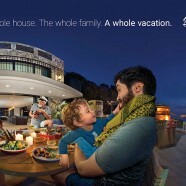 The Expedia-HomeAway combination would displace Booking.com as the world’s largest lodging seller in terms of numbers of hotels, vacation rentals and apartments etc. Expedia Inc. would offer at least 1.3 million properties — although Expedia and HomeAway officials spoke of 1.5 million — compared with Booking.com’s 821,400. Expedia Inc., which has over the last year acquired Travelocity, Orbitz Worldwide, and Australia’s Wotif, obviously wasn’t done with its acquisition spree as it competes with the likes of the Priceline Group’s Booking.com and Airbnb in hotels and vacation rentals with Priceline, and apartments and increasingly vacation rentals in the case of Airbnb. In tandem with the acquisition announcement, HomeAway revealed it will change its business model midway through 2016 and will add a booking fee for consumers. Until now, unlike Airbnb, HomeAway charged fees to hosts but not to guests. HomeAway announced that its board of directors unanimously approved the acquisition by Expedia, which will include all of HomeAway’s global brands, including VRBO, HomeAway.com, and VacationRentals.com in the United States; HomeAway.co.uk and OwnersDirect.co.uk in the United Kingdom; HomeAway.de in Germany; Abritel.fr and Homelidays.com in France; HomeAway.es and Toprural.es in Spain; AlugueTemporada.com.br in Brazil; HomeAway.com.au and Stayz.com.au in Australia; and Bookabach.co.nz in New Zealand. 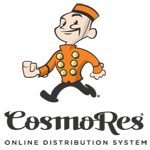 Asia Pacific short-term rental site, travelmob.com. Expedia has been experimenting over the last year in the U.S. and Europe with integrating HomeAway’s vacation rentals, especially its online bookable properties, into Expedia’s hotel listings when consumers looked for stays around a week or more. But Expedia was taking its time with the implementation. In the past, Expedia officials stated that while they were certainly interested in vacation rentals, and would aggressively onboard apartment listings in coming years, hotels would remain the priority. With more than 1 million paid listings in more than 190 countries, Expedia’s pending acquisition of HomeAway is a game-changer in that it saves Expedia years of building up its own vacation rental supply in an increasingly important lodging sector.